Through a joint effort of the public and private sectors, Main Street was created to preserve the heritage of historic downtown Benicia, t o promote economic prosperity, and to restore the downtown’s identity as the viable town center according to the National Main Street Program’s four-point approach to revitalization. In 1986 the Benicia City Council and community business leaders concerned about Downtown Benicia submitted an application to participate in the California Main Street Program. The Main Street Program is a state and national network of grassroots downtown revitalization projects coordinated by the National Trust for Historic Preservation. 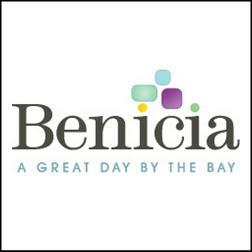 In 1987 Benicia was chosen to be one of the fifteen demonstration cities to participate in the program. Selection was based on the commitment expressed by the City, downtown businesses, property owners, and residents to support this program. The Main Street Program was developed in 1978 by the National Trust for Historic Preservation, a private, nonprofit corporation dedicated to the preservation of America’s important architectural resources. Begun as a pilot program in three towns, the National Main Street Center now boasts over 800 participating cities nationwide. A successful four-point approach to downtown revitalization focusing on creating a total image of a community’s downtown area has been developed. The Main Street Program builds on existing resources, takes a step-by-step approach in its projects and fosters improved community leadership and support on behalf of the downtown for the long term. The Main Street approach to revitalization includes four components which are integrated to create a positive, identifiable image for downtown. They are Organization, Promotions, Design, and Economic Restructuring. Organization: The Main Street Program is a nonprofit, 501(c)(3) organization. A full-time office and staff provide the day-to-day management of the downtown and work with the Board of Directors and volunteers to accomplish the goals in the work plan. 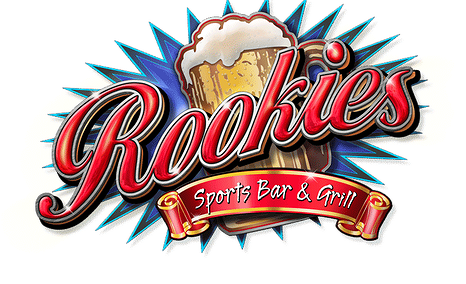 Promotions: Building upon the downtown area as a place for activity, Main Street sponsors major community events and retail promotions to draw an abundant amount of people to downtown, providing residents and visitors with a safe, attractive place to shop, work, and play. Design: Enhancing the visual quality of the downtown, Main Street uses basic design elements in the existing environment, i.e., buildings, signs, window displays, landscaping, streetscapes, street and sidewalk maintenance. Economic Restructuring: Supporting and diversifying the downtown economy, Main Street recruits new stores to balance the retail/service mix, provides one-on-one assistance to existing businesses, and improves downtown’s competitive market position. Several elements distinguish the Main Street Program from other revitalization methods. First, Main Street promotes economic revitalization within the context of historic preservation, hence, the downtown’s historic architecture is one of its greatest assets. Second, Main Street is administered by a nonprofit organization made up of diverse people throughout the community. Third, it depends on and encourages participation from all sectors of the community, i.e., local government, private citizens, organizations, civic groups, and, of course, businesses and property owners. By setting up committees of volunteers from these various sectors, Main Street builds a consensus into a planning of goals and objectives and provides the work force to implement them.